A federal grand jury in California has indicted five men for allegedly offering pre-release copies of hundreds of movies and TV shows via the Internet. The individuals, from the UK, India, United Arab Emirates, and Malaysia, are reported to have hacked into Hollywood film production companies in order to obtain copies of The Expendables 3, The Walking Dead, and other popular titles. Public sharing of movies and TV shows before their commercial release is considered to be one of the most damaging types of piracy. With no official copies on the market, entertainment companies are unable to compete in what would ordinarily be the most profitable window of opportunity for sales. That’s why, year after year, individuals who leak content early become targets for law enforcement. 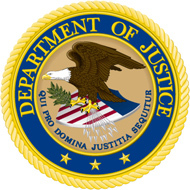 Yesterday the Department of Justice revealed that a federal grand jury has indicted five men in four countries on charges that they distributed or offered for sale hundreds of movies and TV shows in advance of their official release. It appears to be one of the most important prosecutions in recent memory. Malik Luqman Farooq, 30, of the UK, is alleged to have sold access to more than a dozen “stolen pre-release or contemporaneous-release films” over a period of two years. He is alleged to have used online aliases including dark999, codex, and Lucky. Aditya Raj, an assumed resident of India, allegedly released pirated movies online and was involved in ‘camming’ in India. Ghobhirajah Selvarajah, who is claimed to live in Malaysia, owned a PayPal account which was used to accept payments from people accessing the movies and to pay server bills. He used aliases including Hunter and Hunter X.
Jitesh Jadhav, another presumed resident of India, was allegedly involved in camcording films in India, including The Amazing Spider-Man 2, X-Men: Days of Future Past, and Dawn of the Planet of the Apes. Of the five indicted men, only one – Malik Luqman Farooq – has been physically detained by authorities. He was reportedly arrested by City of London Police and is currently awaiting trial in the UK. None are in U.S. custody but face a seven-count indictment listing conspiracy to commit computer fraud, unauthorized access to a computer, aggravated identity theft, and copyright infringement. According to the indictment, the group began offending prior to May 5, 2013 and continued to May 20, 2015. It’s alleged that Farooq, Raj, Nhance, and Selvarajah rented servers from companies including OVH which they used to store pirated copies of movies which had been illegally obtained from servers operated by movie, distribution, and other third-party companies. Farooq and Jadhav are further accused of obtaining ‘cammed’ copies of first-run movies and acquiring and distributing ‘screener’ copies of movies not intended for public consumption. These and other titles were then offered for sale and also uploaded to the wider Internet. Details released in the indictment indicate that the authorities gained access to the group’s supposedly private conversations. In May 2013, for example, it’s alleged that during an online chat, Farooq asked Raj to put him in touch with someone who could camcord the movie The Great Gatsby in India. During the same month, it’s alleged that Farooq paid an “unindicted co-conspirator” for access to a torrent tracker which was used to obtain pirate copies of copyrighted content. In June that same year, it’s claimed that Farooq accessed a server in Los Angeles belonging to a movie production and distribution company to obtain trailers for the movie The Wolverine and Turbo, prior to the movies’ official release. During August 2013, someone illegally camcorded The Smurfs 2 at a cinema in Bhopal, India. The next day, Farooq sold access to that movie to an individual who he believed to be a ‘pirate’ customer. In fact, the person was an investigator for an anti-piracy firm hired by the MPAA. Months later, between April and July 2014, it’s alleged that Farooq and other co-conspirators accessed the California-based servers of a content-management services company which was used to store and distribute motion picture assets. From there, using TOR, they downloaded approximately 142 files including the movies Divergent, Godzilla, Seventh Son, Jane Got a Gun, Mortdecai, and the first five episodes of season five of The Walking Dead, all prior to their official release. Interestingly, the indictment also details how Farooq (or another co-conspirator) obtained a copy of The Expendables 3 prior to its official release. As previously reported, the movie leaked online during July 2014.
content-management services company and downloaded via TOR. The copy was then stored on an OVH server with Farooq quickly selling it to the MPAA’s anti-piracy investigator. Many other movies were also sold by Farooq to the investigator, with some of the proceeds ending up in his own PayPal account. In November 2014, City of London Police announced they had arrested two men in the UK in connection with The Expendables 3 being leaked online. The pair, then aged 36 and 33, are considerably older than Farooq who is reportedly just 30. However, in April 2015, City of London Police arrested a 26-year-old man at his workplace in Leeds. He was taken to a local police station for questioning, suspected of leaking The Expendables 3. Sylvester Stallone took time out to thank police for their efforts. “This case is being investigated by U.S. Immigration and Customs Enforcement’s Homeland Security Investigations, which received substantial assistance from the Police Intellectual Property Crime Unit of the City of London Police. U.S. authorities received cooperation from French and Canadian authorities in obtaining evidence stored abroad,” the Department of Justice notes.